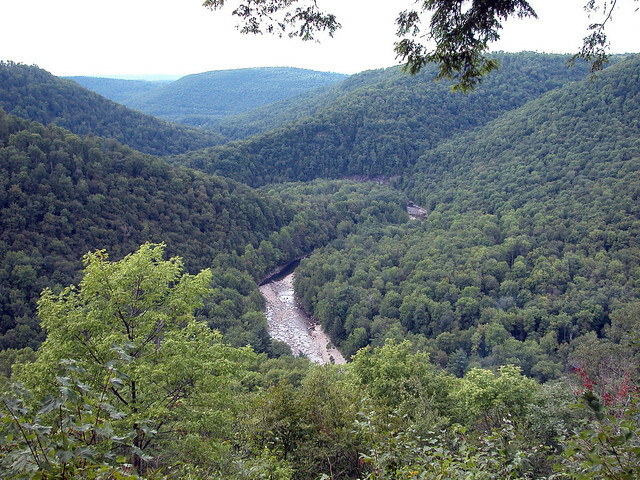 ​Worlds End State Park is situated in a narrow S-shaped valley of the Loyalsock Creek, just south of Forksville, Sullivan County. Surrounded by the Loyalsock State Forest, the 780-acre park offers visitors diverse recreational opportunities within a pristine environment. The rugged natural beauty coursing through the heart of the Endless Mountains landscape provides many photographic possibilities. ADA accessible Loyalsock Canyon Vista, reached via Mineral Spring and Cold Run roads, and nearby High Knob Vista, provide outstanding views of the Endless Mountains region. Scenery is particularly unforgettable during the June mountain laurel bloom and the fall foliage period in October. Worlds End State Park offers a wide variety of environmental education and interpretive programs. Through guided walks, hands-on activities, and evening programs, participants gain appreciation, understanding, and a sense of stewardship toward the natural and historical resources. Curriculum-based outdoor investigations and hands-on environmental activities are available to public schools, youth and community organizations, and homeschool associations. Group programs must be scheduled in advance through the park office. For more information about park programs, check the activity schedule on the park bulletin boards or at the park office. A food concession operates from Memorial Day weekend to Labor Day. In addition to the usual fast-food refreshments, a limited line of camping and picnicking supplies such as ice and charcoal are offered.